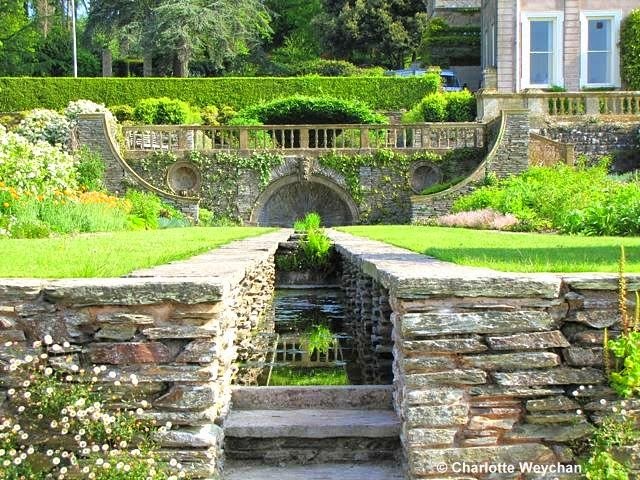 Hestercombe in Somerset, is undoubtedly the finest example of the celebrated garden design liaison between Sir Edwin Lutyens and Gertrude Jekyll anywhere in the world, rivaled only by Le Bois de Moutiers in France. It is certainly the only property where Lutyens was involved solely in the hard landscaping of the garden, with no house commission attached. 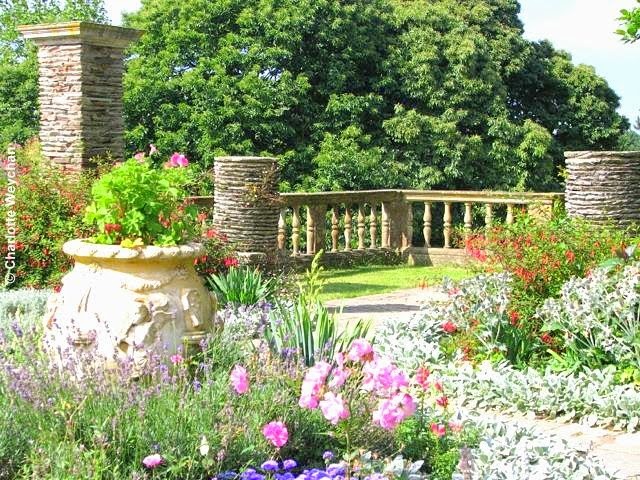 Combine his talent with the fortuitous discovery of Jekyll’s original garden plans in a potting shed, as restoration work on the garden was about to begin, and the result is a magnificent garden, now open for us all to enjoy. This was one of the first major garden restorations in the country - a real story of a phoenix rising from the fire as successive owners of the property fought to keep control of house and garden over a period of some 30 years. 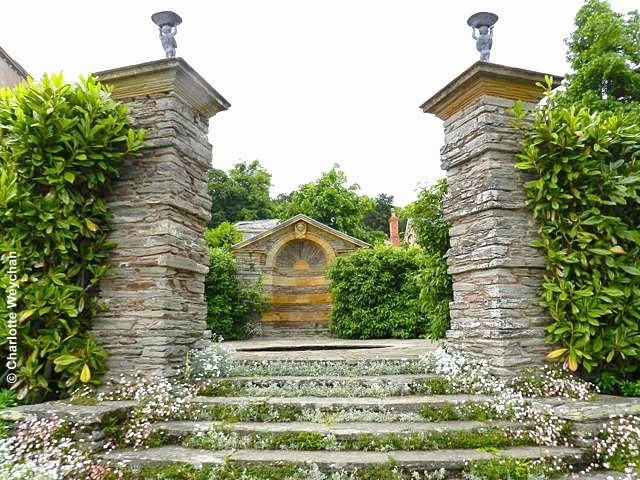 It is both the size and scope of the restoration which is unusual, because Hestercombe has the benefit of landscape and formal gardens, surrounding a house that has seen both landed gentry and public service workers in residence during its history. It has now been fully restored and this year sees the house in its new guise as an art gallery. It is the both the size and scale of Hestercombe that make it extraordinary, and although there are only 50 acres of grounds, it is the combination of landscape and formal gardens that make it so attractive to the visitor. 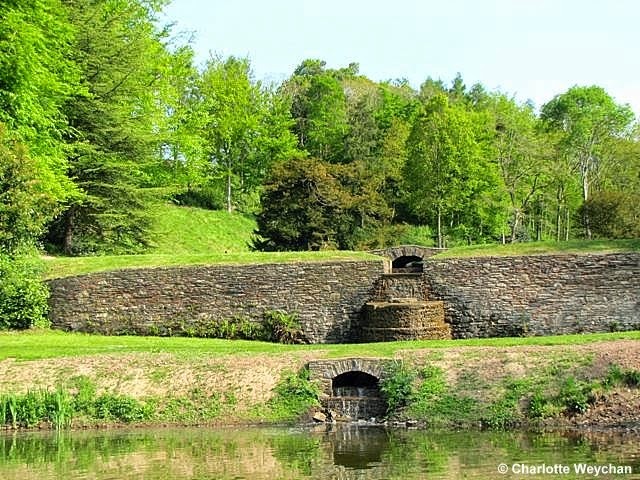 The landscape element was created by onetime owner Coplestone Warre Bampfylde in the middle of the 18th century, and is a delightful Arcadian scene of unusual buildings, urns, cascades and a pear-shaped lake. The formal gardens were added when the Portman family later acquired the property in 1903 and they commissioned Edwin Lutyens to re-design the gardens in front of the house. Both landscape and formal gardens have been fully restored in the last 30 years. The Dutch garden (above) is the link between landscape gardens and the formal parterre that graces the front of the house. It has been fully restored to its original appearance, using the Gertrude Jekyll plans that were found in the potting shed. From here, you can see both the landscape gardens behind and glimpse the formal gardens beyond and Lutyens' architectural landscaping skills become apparent when you descend the steps that connect this eastern part of the property to the Orangery. Work on the formal gardens began in 1904, when Lutyens and Jekyll began yet another of their collaborations to transform a tract of land into a living watercolour. One of the outstanding features of this property are the steps and decorative features used to link the various different parts of the garden - fine stone walling is a prominent feature, as are the millstones laid into the ground at various intervals. The orangery (right) is a classic example of Lutyens' architectural skills and uses Somerset's honey-coloured Ham Hill stone to best advantage. The Orangery garden is connected to the Great Plat by a Rotunda, featuring a round pool laid into circular stonework. And as you emerge from here, you have a magnificent view of the formal parterre and magnificent landscapes beyond. 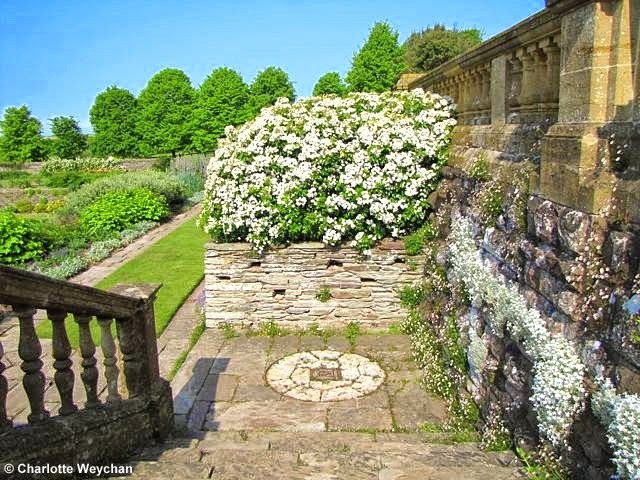 Gertrude Jekyll employed her planting skills to compliment Lutyens' artistry and used Mexican fleabane (Erigeron karvinskianus) to full advantage on the stonework throughout the garden, making the steps and connecting areas so memorable for visitors - as they walk through a tapestry of daisies sprouting from the walls (right). From the Rotunda, you get an excellent view of the Great Plat, which takes the form of a large square parterre, with an impressive pergola creating a link between the garden and the landscape beyond. Yet none of this would be here, except for the valiant efforts of Philip White in the 1970s. 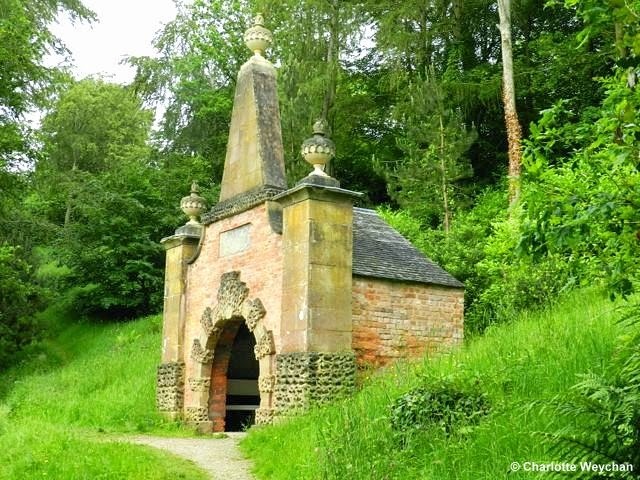 He was the one who set out to save the gardens here at Hestercombe. 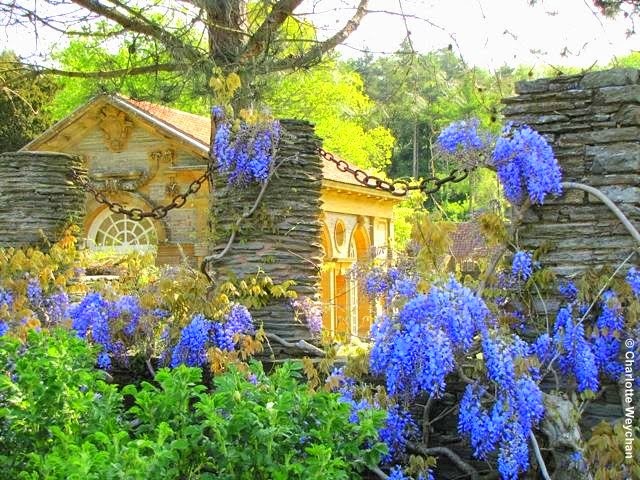 Philip White was a former dairy farmer and wildlife conservationist, who came to Hestercombe in 1995 to lead the restoration of the landscape garden. He originally invested money from his own resources to kick start the project, but as recognition of the importance of the gardens grew, other sources of fundraising were found and by 2003 the Heritage Lottery Fund had awarded a major grant to the Trust. 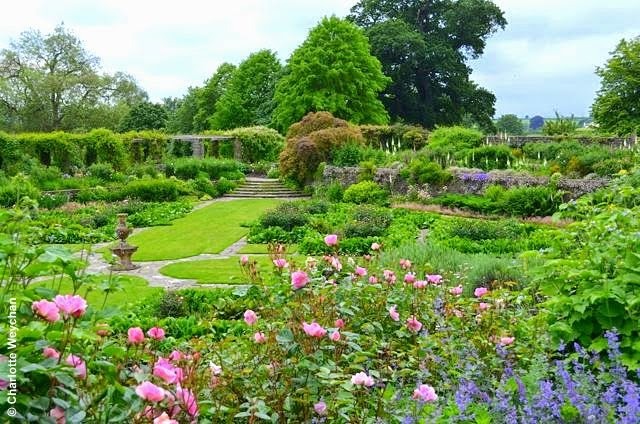 Twenty years later, the gardens are among the finest in Britain, almost fully restored to their former glory and attracting visitors from all over the world. The Great Plat (above) is a large sunken garden, with stone steps at each corner. Geometric panels of lawn, flanked by stone cross the parterre diagonally, and meet at a central sundial. The planting scheme here was devised by Gertrude Jekyll and has been faithfully restored to provide year-round colour and interest. It offers a wonderful display at any time of year and it is only in springtime that you have the chance to admire the architectural aspects. 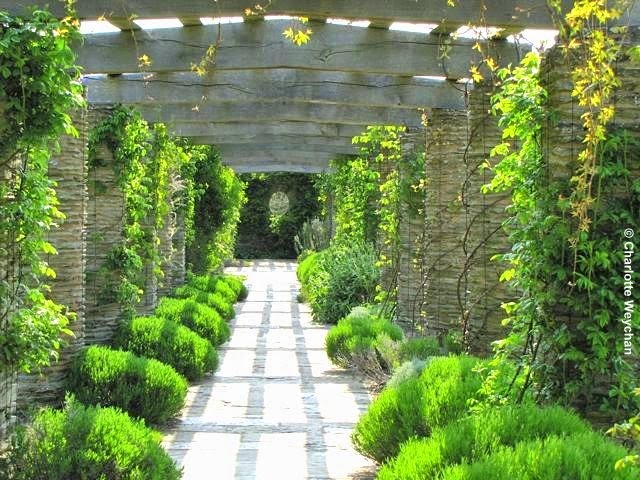 At the far end of the Great Plat, raised above the garden is a Lutyens pergola to rival that at West Dean in Sussex. In high summer it is covered with climbing roses, clematis, honeysuckle and vines and is underplanted with lavender. But it serves another purpose too - to connect the garden with the incredible landscape beyond, because Hestercombe is sited in the Quantock Hills, but looks out onto the Vale of Taunton beyond. At either side of the parterre there are two rills. 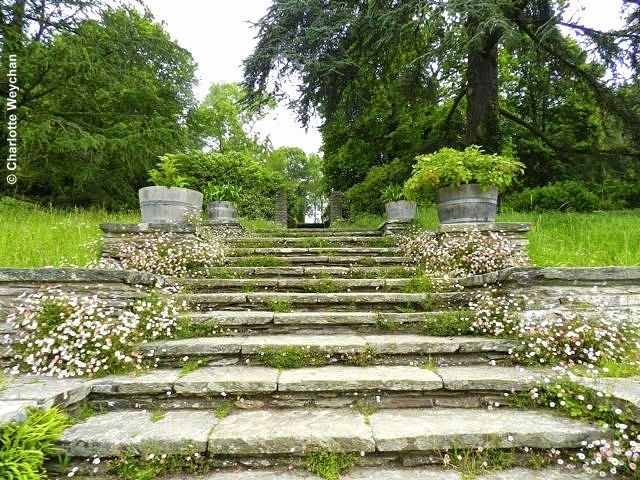 The West Rill terrace leads up to a rose garden while the East Rill leads up to the Rotunda and the Orangery beyond. Viewed from above, these two Lutyens features give the garden both symmetry and style and visitors should take time to look at all the artistry employed in the composition of walls, pools and surrounds, complimented by Gertrude Jekyll's distinctive planting. Hestercombe is open daily throughout the year from 10.00 to 17.00 (16.00 in winter) and is truly one of the great gardens of Britain. It is now operated as an independent charity and admission prices vary, depending on whether visitors wish to donate a small amount extra to the charity responsible for restoring the gardens. Full details are available on the Hestercombe website. 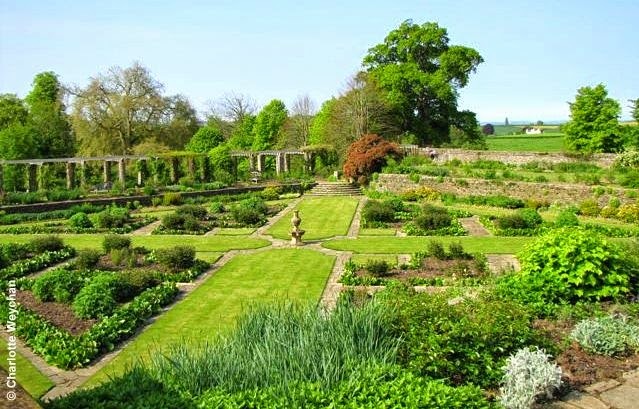 Other notable gardens nearby include Cothay Manor and Lytes Cary. C'est une splendeur. Qui ne rêverait pas de vivre là et d'ouvrir les yeux tous les matins sur ce paysage là. Merci de me faire découvrir ces beautés. Amitiés de Fine.